eBay Classifieds has generated more than 1 billion page views since launch - more than three for every person living in the U.S. 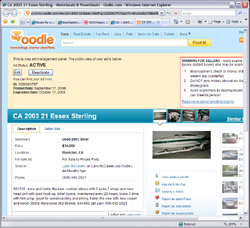 There are over 90,000 cars and vehicles listed on eBay Classifieds - close to thirty cars for every county in the U.S.
Oodle is the fastest growing classifieds service. Pulling together and organizing millions of listings from all over the Web, Oodle is simply the best way to buy and sell through online classifieds. Kaango is the largest classifieds service providing classified ads to major on-line newspapers. 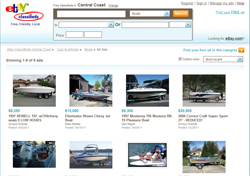 When you post your ad on this site, it also gets seen on these partner Websites!